U.S. 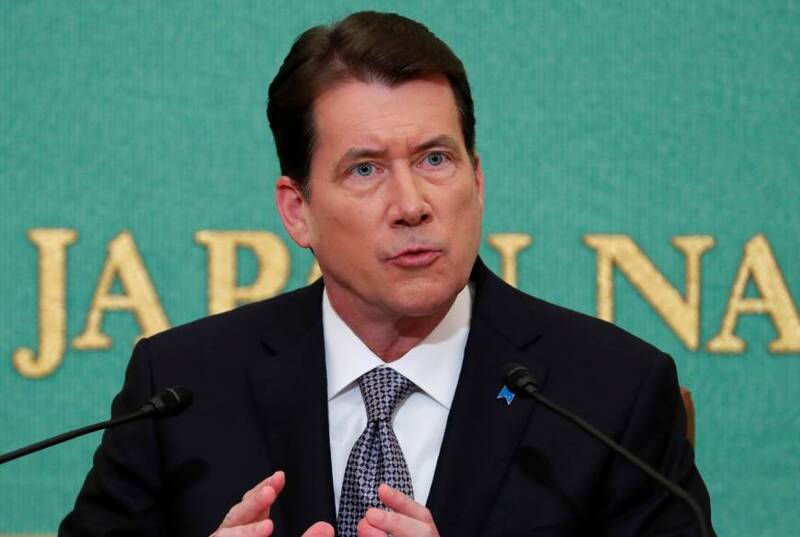 Ambassador to Japan William Hagerty said Friday that President Donald Trump’s first visit to Tokyo earlier this month was a big success, especially in terms of advancing discussions on “unfair” trade relationships between the two countries. “During his successful visit to Japan, the president strengthened his close relationship with Prime Minister (Shinzo) Abe, and moved the relationship forward on both security and trade issues,” Hagerty, who became ambassador in July, said during a news conference at the Japan National Press Club in Tokyo. “The president and Prime Minister Abe had significant discussions regarding trade,” he said. During his visit, Trump pushed for a more favorable bilateral trade deal with Japan after pulling out of the multinational Trans-Pacific Partnership in January as one of his first priorities as president. Hagerty said the U.S. will not join the so-called TPP 11 agreement. 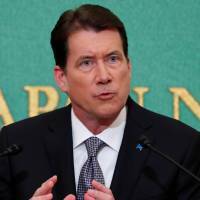 But Hagerty also said a bilateral free trade agreement between Japan and the U.S. is “very possible” but admitted that no timeline for reaching such a deal exists. “The president and the prime minister did discuss this tool, as he means to address some of the imbalance in our trade,” he said, although Japanese officials said such talks never took place..
As an example of the imbalance, Hagerty said that while U.S. meat is taxed by a tariff of up to 50 percent, Australian beef is taxed at only 28 percent. During a joint news conference Nov. 6, Abe and Trump agreed to maximize pressure on North Korea. Abe supported Trump’s position that “all options are on the table.” Trump said Japan will be “purchasing a massive amount of military equipment,” although it had already planned to introduce new equipment, such as F-35A fighter jets, from the U.S.